Allpack Engineers has set benchmark in offering Shrink Wrapping Machine to our clients. Shrink Wrapping Machine is able to fully eliminate different types of shrink wrapping problems which can result in the poor quality of packaging. It has got simple as well as excellent mechanical adjustments and operates at excellent speed. It operates in trouble free manner and is customizable as per requirements. Besides, we are offering this at market leading price. Shrink wrapping machine suitable for gift's confectionery, bottle, cosmetics etc. It's a high speed of sealing machine and high equipment sealing. The complete process is visible & is furnish with L- sealer shaped. The automatic process of shrinkable pouch complete with web- sealer. 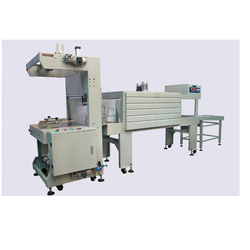 We are provide very high quality of heat-sealing machine and branded shrink Wrapping machine. It's very easily used. Allpack Engineers has set benchmark in offering Fully Automatic Shrink Wrapping Machineto our clients. Shrink Wrapping Machine is able to fully eliminate different types of shrink wrapping problems which can result in the poor quality of packaging. It has got simple as well as excellent mechanical adjustments and operates at excellent speed. It operates in a trouble-free manner and is customizable as per requirements. Besides, we are offering this at market leading price. Fully Automatic Shrink Wrapping Machinesuitable for gift's confectionery, bottle, cosmetics etc. It's a high speed of sealing machine and high equipment sealing. The complete process is visible & is furnish with L- sealer shaped. The automatic process of shrinkable pouch complete with the web- sealer. 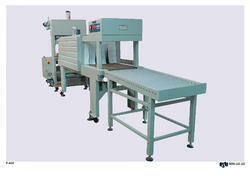 We are providing very high quality of the heat-sealing machine and branded Fully Automatic Shrink Wrapping Machine. It's very easily used. cosmetics, juice bottles, soda bottles and other small packaging materials. we are providing this machine with one-year replacement guaranty. To meet the specific requirements of our customers, we are engaged in offering Shrink Packing Machine. 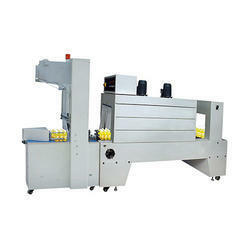 Water bottle Shrink wrapping machines suitable for gift's confectionery, bottle, cosmetics etc. It's a high speed of sealing machine and high equipment sealing. The complete process is visible & is furnish with L- sealer shaped. The automatic process of shrinkable pouch complete with web- sealer. We are provide very high quality of heat-sealing machine and branded Water Bottle Shrink Wrapping Machine. It's very easily used. Applications - Used for box packing of packaged drinking machine. Being one of the trusted firms in the industry, we are highly engaged in providing a unique range of Bottle Group Packing Machine. 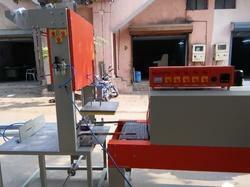 This machine is used for sealing of bottles. Under the strict direction of skilled technocrats, our offered machine is manufactured making use of supreme grade components as well as modern techniques at well-equipped manufacturing unit. To ensure its high performance, this machine is duly inspected against numerous parameters by quality controllers. Shrink wrapping machine is wide use for shrink wrapp the water bottle , juice industries , soft drink industries , textile industries etc. Automatic Group Packing Machine is used in bulk packing of water bottle, cosmetics, juice bottles, soda bottles and other small packaging materials. we are providing this machine with one-year replacement guaranty Introduction: This machine including bottle-conveying, automatic-parsing, automatic-packing, detect-wrapping, shrinking machine, cooling and forming, etc. It can carry out the sorting bottles, wrapping, sealing and cutting, shrink, cooling and forming, conveyor to the output place. Technical Specification : 1. Use of machine automatic shrink packaging machine is a high efficiency and continuous operation packing equipment, which designed according to the packaging film thermal shrinkage. It can automatically array, aggregate and align PET beverage bottle or other similar articles, then package it with shrinking film, finally produce finished products after shrinking by heating, cooling and forming. The packaged product is firmly bound with excellent appearance and save the cost. It is specially designed for the printing models. • 3.1 The shape is compact and excellent; the frame is novel, unique. • 3.2 Lay off film adopts SBJ technical, conveyor film according to color standard sensor electronic sensor quantitative, send film smoothly, and replace film swiftly. • 3.3 Using the third generation isothermal sealing cutter, the seal intensity is above cooling sealing cutter 3 times, the seal is even and life is longer. • 3.4 Transport systems with speed regulation by frequency variation, the transmission is precise and syn-chronic. • 3.5 Adopting air circulation technology, the shrinkage chamber features rational structure, heat insulation, high precision for temperature control and better packing effects. The import TEFLON coat conveyor belt. • 3.6 Disposition: SIEMENS, OMRON, and UNIQUC, etc advanced control component in the world, well equipped. • 3.7 The distance between cooling channel and shrinking channel more than 500mm, avoiding the cold wind effect the hot wind to reduce the heat loss. • 3.8 The film-sending motor and cycle motor add overload protect device, add OMRON intermediate relay, which save the circuit safety. Packaging Details: machine is used to pack the bottles in plastic role like soda and coldrink bottles. this machine is usualy used for mineral water bottles like bisleri and kinley. This machine is heavy duty packing machine. Which is used in packing of 12 Bottle of mineral water and cosmetic tubes, also used in juice bottle packing.